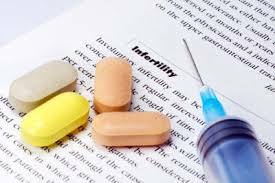 “If this sh*t causes infertility….Awesome!!! The world is overpopulated. This is why GMO is actually saving the planet. I am doing humanity a f*cking favor. The above is an actual quote from a GMO scientist. Studies do show that GMO’s cause infertility, among other things. We also know that Bill Gates owns 500,000 shares of Monsanto, and that his father has been part of sterilization programs here in the U.S.
Bill Gates has spoken openly about people that “have no benefit whatsoever,” and a theme with him is “population control.” The troubling history of Bill Gates Sr “one of the grandfathers of eugenics still going strong today” in the US. ABC reports tens of thousands of women across the States from 1929 to 1974 forcibly sterilized. The Times notes Gates Jr has held a secret billionaire summit with Michael Bloomberg and George Soros to “curb overpopulation”. The average cost of just one in vitro fertilization procedure (IVF) costs $12,400 with doctor’s fees. Now imagine having eight of them, without insurance, and all the side effects that go along with them. Consider that GMO foods, like soy, are proven to be responsible for higher rates of birth defects, infant mortality, and sterility. Also, the fact that 91% of all US soybeans are from GMO seed – and that’s just one crop. GMOs are completely taking away our right to decide about our own reproductive health. Sickeningly, a GMO scientist says, “it’s awesome” that GMO causes infertility. I’m sure drugmakers think it’s ‘awesome’ too. Their bank accounts are probably equally awesome while real couples, and particularly women, have to deal with the deep sadness of not being able to conceive, while also putting their bodies through yet another kind of global experiment.